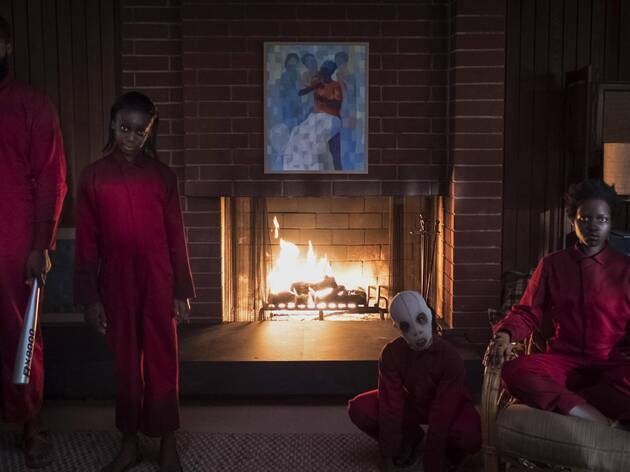 Jordan Peele is back with more terror – but slightly less edge. Jordan Peele’s debut movie ‘Get Out’ rewarded eagle-eyed attention to detail, so you’ll be on the look-out for clues going into his new horror film. When ‘Us’ tells us early on that there are thousands of miles of tunnels under the United States with ‘no known purpose’, you squirrel the fact away in your brain, hoping it’ll be important later. When there’s a bunch of bunnies in cages or an apocalyptic Biblical quote on a breadboard, they get stored too. But a plot embroidered with such hints never quite lives up to its juicy promise, as its barbed critique of the American Dream proves a notch or two too oblique to land. ‘Us’ is too confidently made to call it a second-movie slump. Peele, as ever, blends comedy and screams like a champ, and his actors are terrific. After a brief mid-’80s prologue in which a lonely kid encounters something awful in a beachside carnival fun house, she becomes the grown-up Adelaide (Lupita Nyong’o), now with two children of her own and a dad-joke-dispensing husband (Winston Duke). For some reason, they’ve bought a summer house by that same beach, and it’s where Adelaide must return – unless, of course, the beach comes to her. ‘There’s a family in our driveway,’ her son says one night, noticing their four red-clad doppelgängers, the plot kicking into overdrive. Peele gives each family member a second role, and they twist their bodies into impressively gymnastic, feral crouches. Nyong’o is especially good, her evil twin speaking in a strangled croak that sounds like inhalation of breath rather than exhalation. All this offers enough strangeness to distract from a larger shapelessness that creeps in once the film has settled into the nerve-shredding home-invasion thriller it is. Unlike in ‘Get Out’, not all of the breadcrumbs Peele leaves us lead anywhere. Still, it’s a whole lot of fun following the trail. This starts really well, building a palpable sense of dread, and there are some clever moments of comedy and satire, but I kept finding myself asking - where's he going with this? 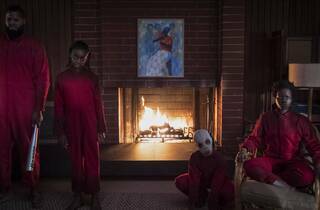 Jordan Peele is clearly a director of ideas - and his juggling act of a plot is admirable for keeping those balls in the air for an hour and a half if nothing else, but ultimately as a piece of cinema this is not the success I was expecting. Probably one of the worst movies I've seen in years. Appalling script, no integrity whatsoever. Don't wast your money.